Well it looks like there’s some real talent in the next generation of IBS Benchrest shooters. Watch out for those young guns — they can give seasoned veterans a run for their money — and then some. 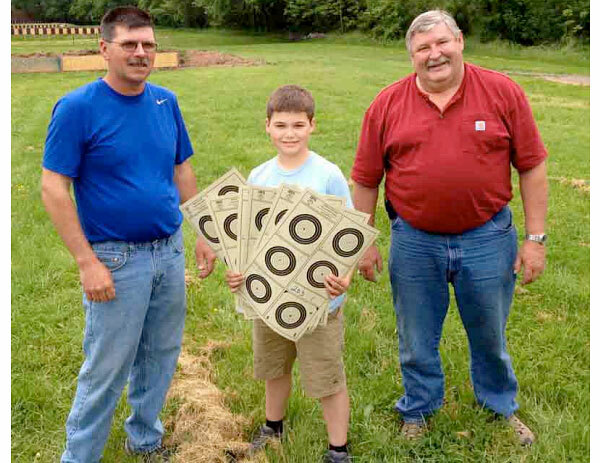 Young Kevin Donalds Jr. fired a perfect 250-25X score to win a 100-yard IBS score match at the Thurmont, Maryland range on May 18th, 2013. At just 12 years of age, Kevin is already showing he has the focus, talent, and determination to win. And, yes he managed to beat his proud father Kevin Donalds (Sr.) who finished second with a 250-23x. Like father, like son. It’s great to see a father and son who shoot together — and share the podium together. Above, 12-year-old Kevin, match winner, is shown flanked on his left by his father (second place), and on his right by third place finisher Larry Fritz. Young Kevin was shooting a 30BR (no surprise), with a BAT action, Krieger barrel, and an affordable Sightron 8-32X scope (about $860). The rifle was smithed by Sid Goodling and stocked by Roy Hunter. The load was a stout charge of Hodgdon H4198, fired by Federal primers, pushing BIB 112gr bullets. For more information on this Match and other IBS competitions, visit InternationalBenchrest.com and the IBS News Magazine Archive. Share the post "12-Year-Old Kevin Donalds Jr. Wins Score Match with 250-25X"
How would you like to lower your Extreme Spread (ES) and Standard Deviation (SD) significantly by a simple procedure that takes seconds and costs almost nothing? Here’s all you need to do. After lubing your cases for full-length sizing, be sure to clean your hands (removing ALL residual lube) before you handle your bullets. 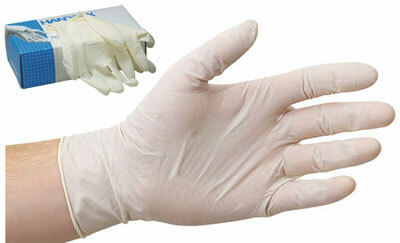 As an extra measure to avoid lube contamination, slip on thin Latex gloves before you handle and seat your bullets. Will this make a difference? Let me tell you a story. I recently loaded a couple dozen cases for a 6mm Dasher. We were in a hurry to leave for the range so I was loading faster than normal. When we started shooting the ammo I noticed that the 5-shot ES was bad — really bad — 48 fps. I was shocked because this was a known good load that had previously showed ES in the teens. This one had me stumped. What could have resulted in this high ES? What did I do different while reloading this time? Then a lightbulb went off. I realized I had been seating bullets (round by round) immediately after lubing and sizing each case. My fingers still had some greasy lube on them which obviously got on some of the bullets, “polluting” them. My normal reloading procedure is to lube and size all cases, clean them off, then place the brass in a loading tray. Then I would clean my hands BEFORE adding powder and seating bullets. This time, in my rush, I sized a case, wiped it off, then immediately added powder and projectile. I did not take the time to clean off my fingers carefully before handling the bullets. The next day I went back to the loading room. I loaded the same brass with the same powder, same primer, same bullet type, same bushing — same everything. But this time, I washed my hands thoroughly with a hand cleaner, dried them with a clean paper towel, and I even put on thin latex gloves before handling the bullets. I loaded 10 rounds and fired them over the chronograph again in the same rifle. The 5-shot ES was 14 fps and the 10-shot ES was 22 fps (That’s normal for this load/rifle). Compare that to a 5-shot ES of 48 the day before. I had reduced my 5-shot ES by 70%! We were back in business. (By the way, the groups were also very small). Your results may vary of course, but now I always make sure to remove ALL residual lube from my fingers before handling bullets or doing anything that can get unwanted lube inside the necks. What about gloves? I don’t think the Latex gloves are essential (if your hands are dry and clean), but they just cost a few pennies when bought in bulk. You can buy a box of 100 latex gloves for under $7.00 on Amazon.com. I suggest the non-powdered type. Before the critics launch a tirade, let me be the first to acknowledge that many champions have loaded perfectly good ammo (and shot great groups) without paying much attention to greasy fingers. We’ve all seen short-range benchresters loading ammo between relays. They work fast and may not take the time to clean all lube off their fingers before seating bullets. And we’ve seen some of those guys go out and shoot itty-bitty groups in the ones and zeros. So I am NOT claiming that careful “reloading bench hygiene” is essential to shooting small! All I am saying is that I observed and recorded a significant drop in my ES when I made sure to avoid contaminating bullet jackets with case lube. This is a simple precaution that is easy to follow when loading at home. It may help you cut your ES/SD. It may help avoid that one “mystery flyer” that ruins a group. 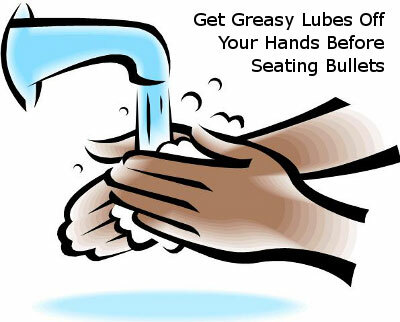 Cleaning your hands before seating bullets may seem obsessive. But the smart reloader knows that paying attention to the small details, in all respects, is the key to making ultra-accurate ammo that exhibits low ES/SD on the chronograph. Share the post "ES Too High? Here’s a Factor You May Not Have Considered…"
Report based on story by Lars Dalseide for NRABlog. The NRA Bianchi Cup Championship was held May 22-25 in Columbia, Missouri. One of the premier pistol-shooting competitions on the planet, the Bianchi Cup attracts top handgunners from around the globe. From a spectator’s standpoint, one of the most exciting phases of the competition is the Colt Speed Event, where dueling duos of shooters draw and fire in under four seconds. 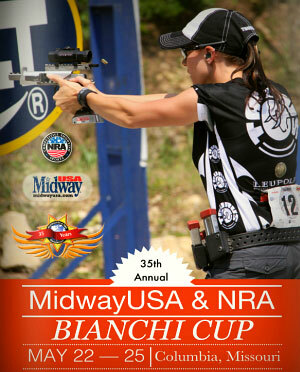 Nothing calls for a greater combination of agility and accuracy than the MidwayUSA/NRA Bianchi Cup’s Colt Speed Event. One of four separate stages in the Bianchi Cup Championships, the Colt Speed event begins with two shooters on the firing line. When the horn sounds, they draw and fire at six plates. The fastest finish wins. Win two out of three and you advance to the next round. Watch the video to see how it works. Share the post "Video Highlights of Colt Speed Event at 2013 Bianchi Cup"